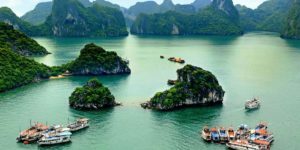 Tourist travelling to Vietnam in late January or early February who require visa approval numbers or invitation letters should submit their passport details by 15 JAN 2019 to avoid any potential issues. The Immigration Department will close for 7 days, tentatively from 4-10 FEB 2019. Therefore, consulate wont be be able to provide visa approval numbers or invitation letters at all during that time. For the weeks immediately before and after this period, there are frequently delays in normal visa services and urgent visa approvals may not be available due to the backlog of requests.